The CMO Club in thought leadership with the PR Council created The CMO Club Solution Guide – Navigating the New Normal: Utilizing Earned Media & Earned Influence which was developed to explore how marketers are incorporating earned media into their overall integrated marketing mix. As part of the research, The CMO Club conducted a survey of its CMO Club members in both B2B and B2C brands across all verticals. Of the 82 responses, it was found that 94% of respondents believe there is a direct connection between corporate reputation and brand performance, In addition, one-on-one interviews with senior marketing and public relations executives of leading consumer and business brands including HP, Princess Cruise Lines, REI, Sprint, Dow; and PRC member firms Hotwire, Weber Shandwick and MBooth provide in depth insights on the topic. 1. Brand and corporate reputation are intertwined, with 94 percent of respondents agreeing or strongly agreeing that there is a connection between corporate reputation and brand performance. 2. Marketing integration is strong, and CMOs are seeing proof of this when integrating earned media with paid and owned. 3. Activity thrives on partnerships. Over 76 percent of respondents claim they are partnering more with their corporate communications team and/or agency communications/public relations counselors to help address issues that may or may not impact a brand’s reputation. 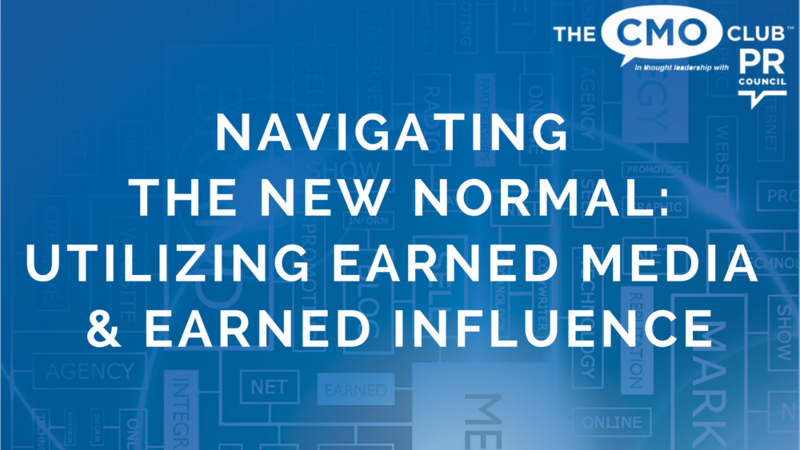 Download the full Solution Guide to read more in depth insights and specific case studies from our CMO Club members from HP, Princess Cruise Lines, REI, Spring, Dow and PRC member firms in what they are doing to change their marketing mix to account for this change in the new normal.